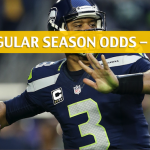 The Seattle Seahawks want to recover the luster that they’ve seemed to lost over the past couple of seasons. 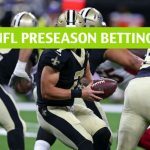 They have current NFL Futures odds of +6,000 to win the Super Bowl, which means they’re not considered as among the elite anymore, but they have chance to prove their doubters wrong. But first, they have to finish these preseason games, including one against the Los Angeles Chargers this Saturday. 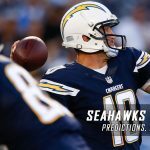 The Chargers are played sloppy football last week in a loss to the Arizona Cardinals, but have enough time to fix their ways ahead of this showdown with the Seahawks. 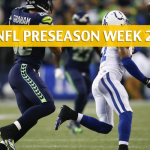 Seattle stumbled out of the gate of the preseason, taking a 19-17 loss at the hands of the Indianapolis Colts, but some Seahawks deserved to be commended. Rookies Rasheem Green and Jake Martin were terrific in the game despite the loss, as they were able to show a blueprint for Seattle’s defense rebuild following the departure of most members of the Legion of Boom. Green had seven total tackles and 1.5 sacks, while Martin had 0.5 tackles. Newcomer Barkevious Mingo also had a sack against Indianapolis, so at least in the pass rush front, the Seahawks are trending towards the right direction. The Seahawks, however, got some bad news on Tuesday, with reports of rookie running back Rashaad Penny suffering a hand injury that will cause him to sit out for multiple weeks. If that’s the case, Chris Carson will see an uptick in snaps moving forward. 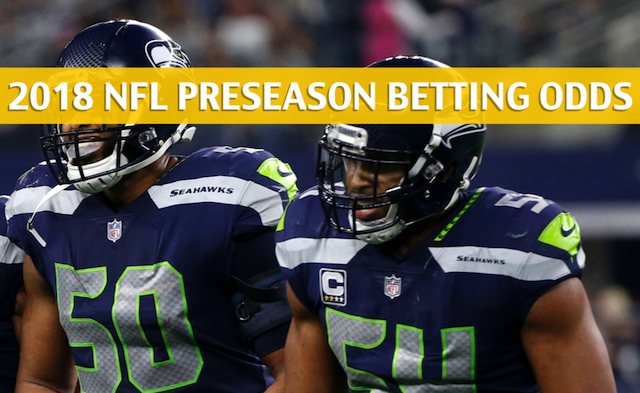 The Seahawks are 8-2 ATS in their last 10 preseason games. More than the 24-17 loss to the Arizona Cardinals on the road last week, it’s the errors that’s frustrated Chargers head coach Anthony Lynn. The Chargers had a total of four turnovers in the Arizona game. Quarterback Geno Smith had an interception and a lost fumble. Full back Derek Watt and quarterback Cardale Johnson also had a fumble apiece. Those errors were signs that the Chargers are far from being on the same page as a team, but that’s also why these preseason games matter. On a positive note, second-year wide receiver Mike Williams, who missed a number of games last season due to injuries, looked comfortable on the field, grabbing two catches for 18 yards. He’s expected to soften the impact of the loss of tight end Hunter Henry to injury. 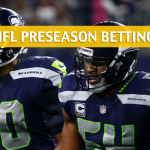 The Chargers are 3-3 ATS in their last six home games in the preseason.